HP will be making a big announcement on February 9 as the entire world is eager to watch the unveiling of two new tablet devices from HP with WebOS. 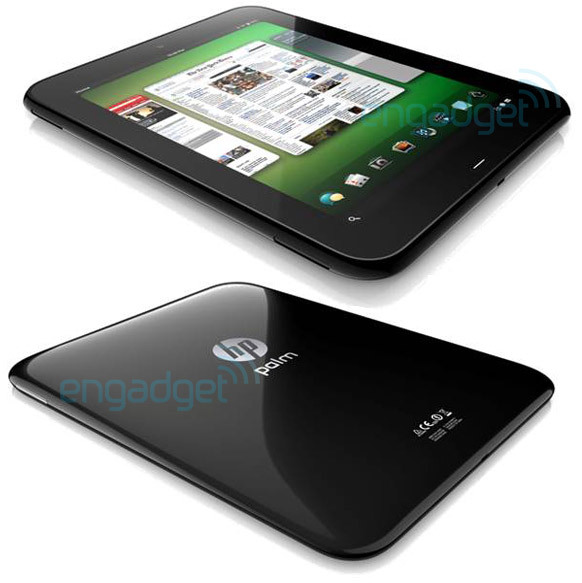 This information was confirmed by Engadget along with some pictures of HP Palm Topaz tablet and HP Palm Opal. In specifications these devices do not have any physical buttons on the front of the tablet and there is a front facing camera along with a micro USB port on the bottom. As visible from the pictures the Topaz will be having three speakers and definitely it will be of stereo sound quality. While the device will reach the headquarters of HP in June and therefore the launch of the devices will be even delayed. The Opal device has some pretty interesting features like a 7 inch screen in three versions which are a Verizon LTE, Wi-Fi only and an ATT 3G version. The competition in tablet market will be interesting because in next few months Apple iPad 2, Motorola Xoom and some Android tablets will be launched along with HP’s new tablets.